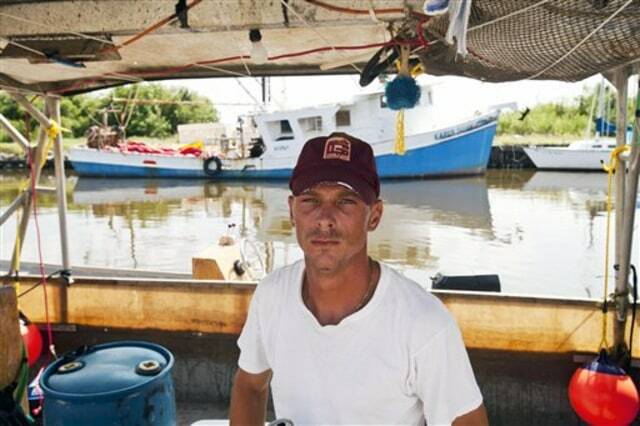 Rusty Graybill, an oysterman and shrimp and crab fisherman, poses on his boat July 30 in Yscloskey, La. "If I put fish in a barrel of water and poured oil and Dove detergent over that, and mixed it up, would you eat that fish?" he asked. About 70 percent of Louisiana waters are now open to some kind of commercial fishing, but state waters in Mississippi and Alabama remain closed and so do nearly a quarter of federal waters in the Gulf.